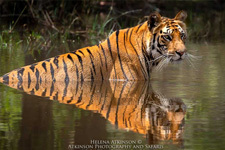 Join Grant and Helena Atkinson with Jason Fernandes, and a small group of (max 6) photographers in May 2019 as they explore Bandhavgarh National Park. Join Helena and Grant and a small group of 6 photographers (maximum) in July 2019 on an exciting photographic trip to the incredible Olare Motorogi conservancy in Kenya. 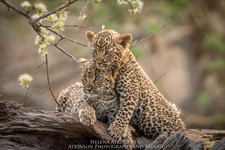 In August 2019 Grant and Helena Atkinson will lead a private group of photographers into South Africa’s Sabi Sand Game Reserve and Botswana’s Tuli Game Reserve. The safari includes five nights in the Selinda private concession and three nights on the Chobe River based on a houseboat. This trip is limited to 6 photographers only. A collection of some of my favourite African images. 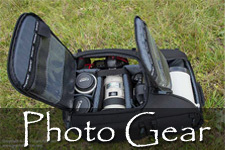 Read about my latest Field reviews, Comparisons and other related gear. 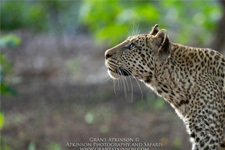 Grant and Helena Atkinson are wildlife photographers and photo-safari leaders. They met whilst both working in Botswana for the same company, Grant as a guide and Helena in a conservation role. During that time they developed a deep knowledge, love and appreciation of that country’s wildlife. 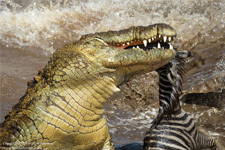 Today they lead special-interest photographic safaris in Botswana, Brazil, India, Kenya, Namibia and Tanzania. Together they believe that having an understanding of animal behaviour is vital component in the wildlife photographers skill set. Big cats like lion, leopard jaguar and tigers, African wild dogs, elephants, gorillas, marine mammals and birds are just some of their favourite subjects to spend time with. Grant is a qualified field guide. Helena holds a masters degree in nature conservation. Helena and Grant shoot mostly with Canon cameras and lenses, which they have found are reliable and effective, despite the hot and sometimes dusty conditions they work in. 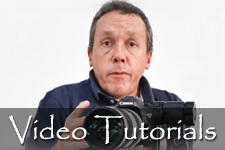 Between them, the bodies they use are the Canon 1DX, 5D Mark 4, 6D Mark 2, EOS R and 7D Mark 2. However, in order to be able to assist their guests on safari, and also for gear reviewing purposes, they familiarise themselves with all levels of Canon and Nikon dslr camera equipment. When it comes to lenses and focal length, they find that in most of the places that they spend time in that focal lengths of around 300mm to 600mm are ideal. In some of the places where they travel, they are able to go off-road to get closer to the subjects, and in some other places this may not be possible. 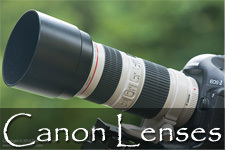 They use both zoom lenses and fixed lenses from this list: Canon EF 500L f4 IS ii, Canon EF 400 DO f4 IS ii, Canon EF 100-400L f4.5-5.6 IS ii, Canon EF 70-200L f2.8 IS ii, Canon EF 70-300L f4-5.6 IS, Canon EF 16-35L f4 IS and Canon RF 24-105L f4 IS but not all at once, of course. 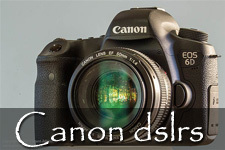 Canon cameras that we have owned and used in the past include the EOS M5, 5D Mark 3, 1D Mark 4, 1D Mark 3, 7D, 5D Mark 2, 80D, 50D, 40D and 30D.